This 1-1/4 in high capacity lead free water pressure reducing valve is commonly installed at the meter in residential, commercial and industrial buildings. It is designed to control the water pressure flowing to all the appliances and outlets within the building and provides an inexpensive means of supplying lower, more functional water pressure to outlets and appliances. 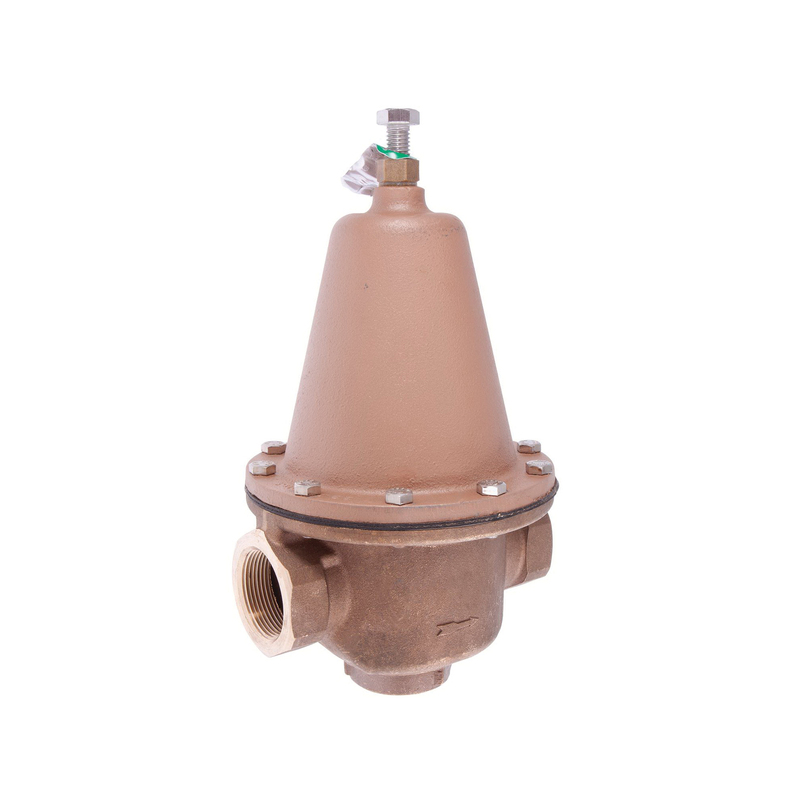 This valve can be used for accessible outdoor waterworks or pit installations. It features a lead free brass body construction, FNPT inlet and outlet connections, high temperature resisting enlarged diaphragm for hot or cold temperatures, a sealed spring cage and seat orifice for high capacity performance. The adjustable reduced pressure range is 25 to 75 psi.